Home / News / Winter Whale Watch Week begins December 26th! Winter Whale Watch Week begins December 26th! Bring binoculars for a chance to view Gray whales during Winter Whale Watch Week, December 26th – January 1st. “The 24 designated ‘Whale Watching Spoken Here’ sites were selected because they are the best viewpoints to spot some of the roughly 18,000 whales that cruise past Oregon on their annual southbound migration,” said Dave Newton, Whale Watching volunteer coordinator. 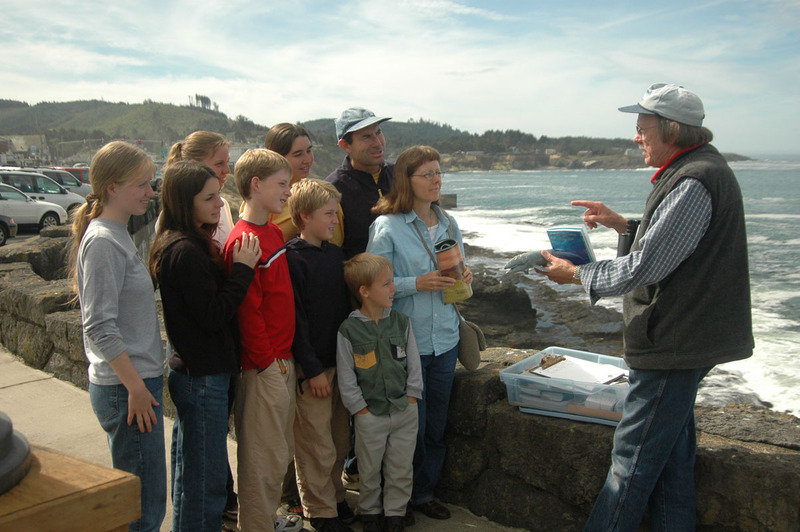 Trained volunteers will be available along the coast 10 a.m. – 1 p.m. daily to help visitors learn about the whales’ migration and feeding habits, and offer tips on how to spot the whales. The Oregon Parks and Recreation Department (OPRD) Whale Watching Center in Depoe Bay will be open 9 a.m. – 4 p.m. daily during the watch week. The whale watching center has general exhibits on whales, staff to answer questions and ‘whale size’ windows with panoramic ocean views.